Trading was mixed in the US on Thursday with the indices oscillating between positive and negative territory as the markets digested the press conference and announcement from the White House that it was pushing ahead with the tariffs on aluminium and steel. The tariffs will take effect in 15 days, but will not be as wide ranging as the markets feared last week, with some countries likely being exempted, such as Australia. 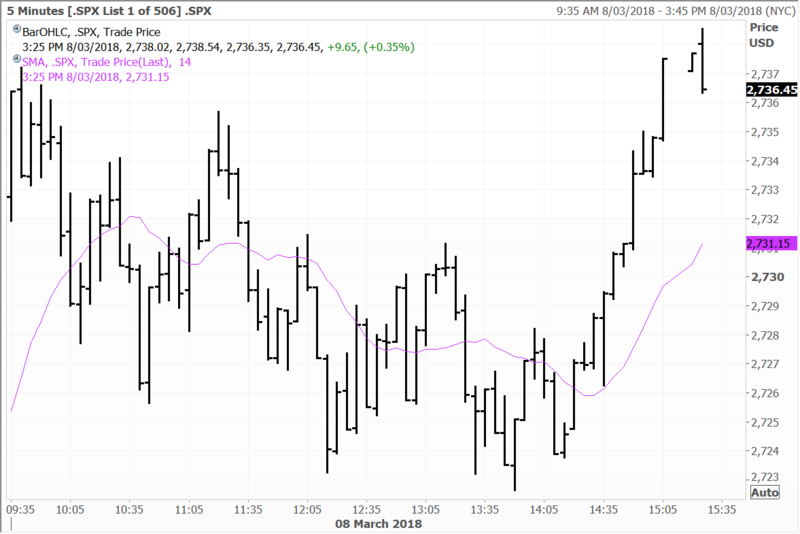 In a repeat of yesterday, the S&P500 initially sold off but then rallied following the brief talk by Mr Trump to the media on the tariffs. The bite is probably going to be a lot less impactful than the bark and markets seem to be taking this view now despite the uncertainty. We will know more about the proposed tariff plan later today. Mr Trump, most probably mindful of Wall Street’s reaction, went on to say that the “US will be ‘flexible” when it comes to implementing the tariffs. He stated at the press conference that “we will offer relief from steel and aluminum tariffs to countries that treat us fairly on trade. I’m sticking with 10 and 25% initially. I’ll have a right to go up or down, depending on the country, and I’ll have a right to drop out countries or add countries”. The President noted that he was “pleased” with progress in the NAFTA talks, but was still prepared to terminate the agreement. More details on the proposed tariff plan will be released later today. The markets for now seem to be taking the tariffs in their stride with all three major indices closing in positive territory. The Dow Jones, S&P500 and Nasdaq finished up 0.38%, 0.45%, and 0.42% on the day, and all eyes for now are on the nonfarm payroll numbers and unemployment rate due out tonight. If the data print is “hot”, market volatility could resume, especially if bonds get sold off and yields rise towards 3%. This is the main focus for the markets for now. I note that going into the economic data due out later today, the bond futures market is at a near record short position, so the bases are definitely loaded. 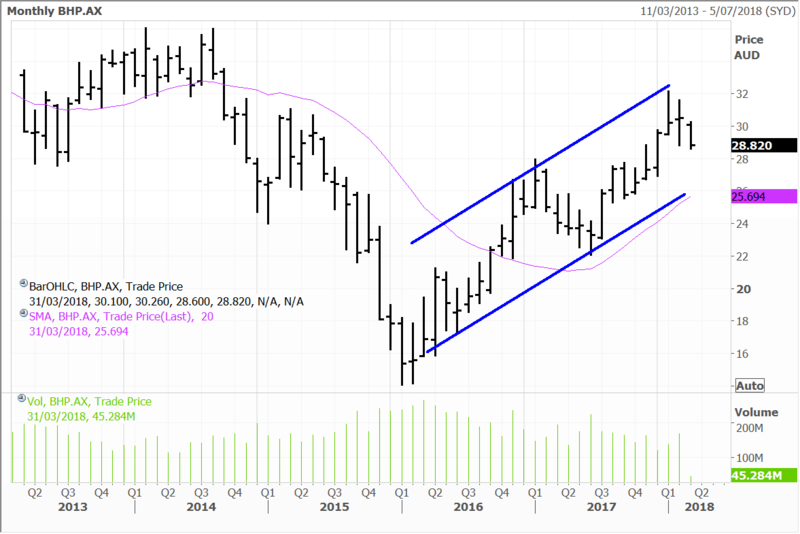 If the data comes in on the weaker side (nonfarm payrolls below the expected 200,000 and a corresponding unemployment rate above 4%) we could see the bid go back into the bonds as traders get stopped out of their short positions in a “classic sell the rumour buy the fact”. Ten-year Treasury yields declined to 2.87% on Thursday. Initial jobless claims increased to 231,000, up 21,000 from the prior week figure of 210,000. Economists were expecting the tally to come in around 222,000. The bigger than expected rise comes on the heels of jobless claims falling to the lowest level in nearly 50 years last week. It was a relatively quiet day for the FTSE 100, but the key index pushed ahead 0.63% at the close despite a drag from stocks going ex-dividend. Security services firm G4S slid 2.2% after its full year results disappointed investors despite raising its dividend and reporting higher profit. Roadside rescue service AA tumbled 6.3% after media reports that its former Chairman is suing the company for alleged unfair dismissal and owed bonus payments. BHP Billiton declined 2.0% after going ex-dividend. Most Asian stocks gained Thursday on hopes President Trump’s proposed steel and aluminium tariffs mightn’t be as harsh as first thought. Solid economic data out of the region was also supportive. Japanese equities rebounded Thursday, but gains were pared later in the trading day and the Nikkei ended up just 0.54% higher at the close. Steelmakers were beneficiaries as trade fears eased, with Japan Steel Works up 3.2% and Kobe Steel advancing 3.0%. Exporters advanced in trading as well as the yen weakened. Components maker THK surged 2.5%, robotics giant Fanuc rose 1.5% and Sony gained 1.2%. Video game Square Enix added 2.1%, while the big banks such as Mitsubishi UFJ, Mizuho and Sumitomo were little changed in trading. Fanuc, Sony, Mitsubishi UFJ, Mizuho and Sumitomo are held in the Global Contrarian Fund. THK and Square are held in the managed account portfolios. The Hang Seng index advanced 1.53% with broad-based gains. Macau casino operators surged after Wynn Macau reported that net revenues for the first two months of 2018 were up almost 28% year-on-year to US$855 million and adjusted property EBITDA jumped 51% to US$281 million. Wynn Macau shares led the way, rising 6.6%, Sands China advanced 5.6% and MGM China gained 3.4%. Shares of Insurer Ping An rose 2.7% and social networking giant Tencent added 2.0%. Shares of Wynn Macau jumped 6.6% after a strong operational trading update by Wynn Resort’s new CEO Matt Maddox, who took over from Steve Wynn a month ago. Mr Maddox commented that broad-based strength was seen across the properties and he provided some insights to the Groups revenue segments, preliminary earnings trends and for the operations in the Macau region. The operating trend for Jan/Feb appears solid and showed that it was accelerating from an already srong base from the 4th quarter of 2017. The Lunar New Year had a meaningful impact with the number of tourists increasing by 6.5% compared to the same period last year. Mr Maddox also used the opportunity to address the events of the resignation of two existing board members and the continuing work that is being done to expand the ranks and identifying new board members that can bring additional viewpoints to the board. Wynn Macau recorded total revenues of US$418.1 million and US$437.2 million from Wynn Macau resort and Wynn Palace respectively for the two months ended 28 February 2018, up 18.78% and 37.35% YoY. Adjusted property EBITDA are up 51% YoY and tracking 16% QoQ. The earnings trends were very robust, 10% higher than the Street’s estimates. 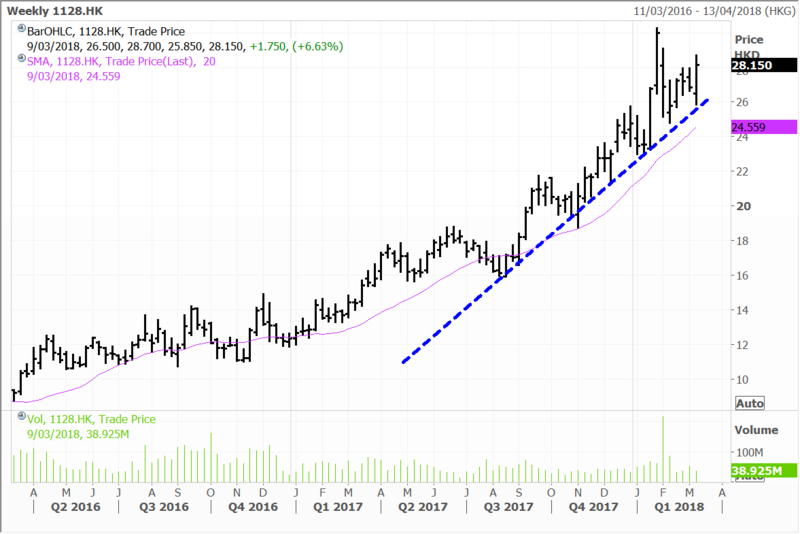 Wynn Macau is the largest holding in the Global Contrarian Fund and is also held in our Asian managed account portfolio. Sands China was up by 5.65% after forth quarter adjusted property EBITDA beat Bloomberg consensus by 11.9%. Total adjusted property EBITDA increased 19.8% YoY to US$731mil. Company-wide VIP win rate was 2.92%, much lower than the 3.33% for the same time last year. MGM China was higher by 3.36% riding the tail of the other Macau operatrors. Wynn Macau, Sands China and MGM China are held in the Global Contrarian Fund, while Wynn Resorts is held in the managed accounts. The stock market in Australia was on the up on Thursday, with the ASX200 finishing the session 40 points ahead at 5,942. Consumer stocks, healthcare and the telcos were higher, as were the financials with firm buying in the banks. Resources though were softer, despite encouraging data out of China, with the world waiting on Trump to reveal his hand with respect to the tariffs. Also, BHP and South32 were both lower as they went ex-dividend. I have made my views clear on Trump’s line of thinking, and with or without tariff exemptions, I think that the fallout for Australia will be contained. Certainly, there will be companies more directly affected potentially, including pure plays such as Bluescope Steel (which we don’t own), which exports $200 million worth of high quality special steel into the US each year. Rio also sells some $2 billion worth of aluminium across the border from Canada and is the largest primary supplier in North America. Suggestions of an exemption for America’s northern neighbours would therefore be well received, and we will know very shortly the outcome. Either way it will not dent the underlying investment case for the high-quality producers such as Rio in my view, with commodity pricing likely to lift further (despite the 4% drop yesterday in iron ore), with supplies tight, demand strong, and the outlook for heavy consumers such as China remaining encouraging. Companies are also bearing down on costs which is providing a further boost to the bottom line. I mentioned the company specific drivers for BHP yesterday, and how I expect the shale asset sale to be a hotly contested auction. Indeed, it has been reported on Sky that Royal Dutch Shell and US private equity firm Blackstone Group are working on a joint US$10 billion bid. This also goes to the optimistic outlook for not only the energy sector, but the commodity space in general. Disclaimer: The Fat Prophets Global Contrarian Fund declares a holding in Fanuc, Sony, Mitsubishi UFJ, Mizuho, Sumitomo, Wynn Macau, Sands China, MGM China, BHP and South32. Previous PostPrevious Blind man’s bluff or Chicken run?